Tennessee is positioned in both the northern and western hemispheres. 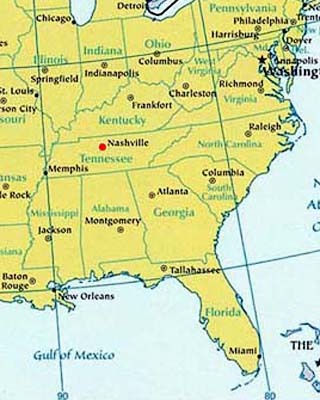 As a part of North America, Tennessee is located in the East South Central region of the United States. It's bordered by eight states, including Arkansas, Missouri, Kentucky, Virginia, North Carolina, Georgia, Alabama and Mississippi.